The book of Hebrews was written to Jewish believers who lived in Rome. The author is unknown, but what is known–is that the Jewish believers were under great pressure to quit. They were under great pressure to go back to religious orthodoxy because they were under the law for so long. Before Christ, serving God was more of a duty. Serving God felt like a religious checklist. They had their Days of Atonement. They had their days of sacrifices. Once Christ entered the picture, people’s motives were changed. Before, love wasn’t a dominant factor. Now, love became a dominant factor of the Jewish believers who choose to accept Christ. Now everything they did no longer sprang from obeying the law, but flowed from the fountain of grace and love. The writer of Hebrews wants to send them words of encouragement because they were in desperate need. How many are in desperate need of encouragement today? The writer of Hebrews writes words of encouragement that are like winds beneath their sails, and winds to keep on keeping on. “God is not unjust; he will not forget your work and the love you have shown him as you have helped his people and continue to help them” (Hebrews 6:10, NIV). God is a just God who will not forget how hard you have worked for him. Others may forget. Others may overlook you, but God is taking notes. God sees. He is applauding you. He forgets our shortcomings, but he does not forget how hard we work for him. God appreciates you, so don’t get discouraged. Don’t allow yourself to feel unappreciated. Don’t allow disenchantment to come into your life while serving the Lord. Notice it says how hard you worked. Of course we understand that we’re saved by grace, not by works. It’s nothing but the blood of Jesus. God is with us on our good days and our bad days. When God is in the room, and God is there–and you have faith to believe Him–He will do anything. On the contrary, our faith in Him causes us to work hard for Him. Right? James says faith without works is dead. Show me your faith, and I’ll show you my works. We don’t work hard to gain God’s approval, but because we have His approval–we work. When we work hard for Him, He notices how hard we work. This speaks of the efforts and the energy that behind the work. Notice it says how hard you’ve worked for Him. Don’t ever forget why you do what you do. It’s for Him. It’s not for a pat on the back, but I will say this as a side note: encouraging one another is so imperative. But encourage one another daily, as long as it is called “Today,” so that none of you may be hardened by sin’s deceitfulness (Hebrews 3:13, NIV). A little word of encouragement goes a long way. The enemy, also known as the accuser–accuses. Encouragement shuts the mouth of the accuser every time. 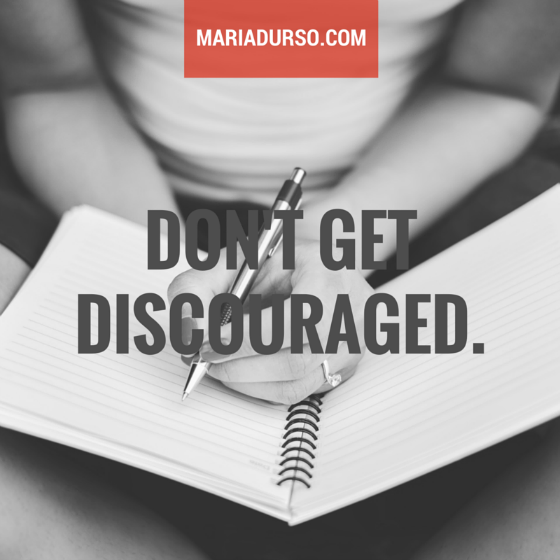 It stops the arrow of discouragement from taking root. Today, let’s decide to encourage our brothers and sisters so that we don’t grow discouraged. Question: How many people can you encourage today? So looking forward to your coming to Covenant Love Church, Face 2 Face Women’s Conference March 17-19, 2016!! !